We have placed over 100grams of healthy natural honeycomb in our freshly harvested honey. Honey with the comb is honey pretty much as the bees intended. The idea is to eat the whole thing, comb and all. 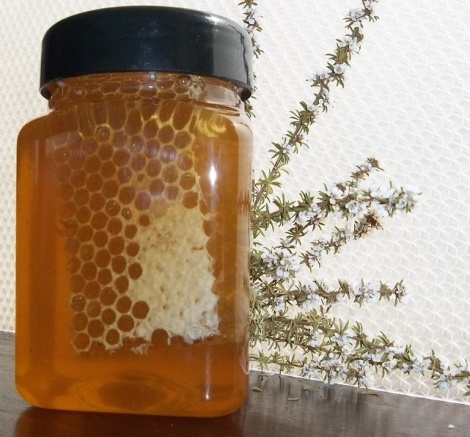 The comb has a chewy, waxy texture and is perfectly edible, but you can discreetly discard it once you've sucked all the honey from it, if you prefer. Go on, indulge yourself in one of nature's most exotic gifts.